Xiaomi has launched its flagship Mi Mix 2 smartphone in India. The phone is priced at INR 35,999 ($551), making it the most expensive Xiaomi phone to be launched in India. The Mi MIX 2 is the successor to last year's groundbreaking Mi MIX, that really started the bezel-less design revolution. The Mi Mix 2 is a considerable improvement over the original in almost every way. The Mi Mix 2 has a smaller 5.99-inch 18:9 display compared to the 6.4-inch 17:9 display on the Mi Mix. The smaller display should make the phone more comfortable to hold and carry around and it also has a higher resolution now at 2160x1080. 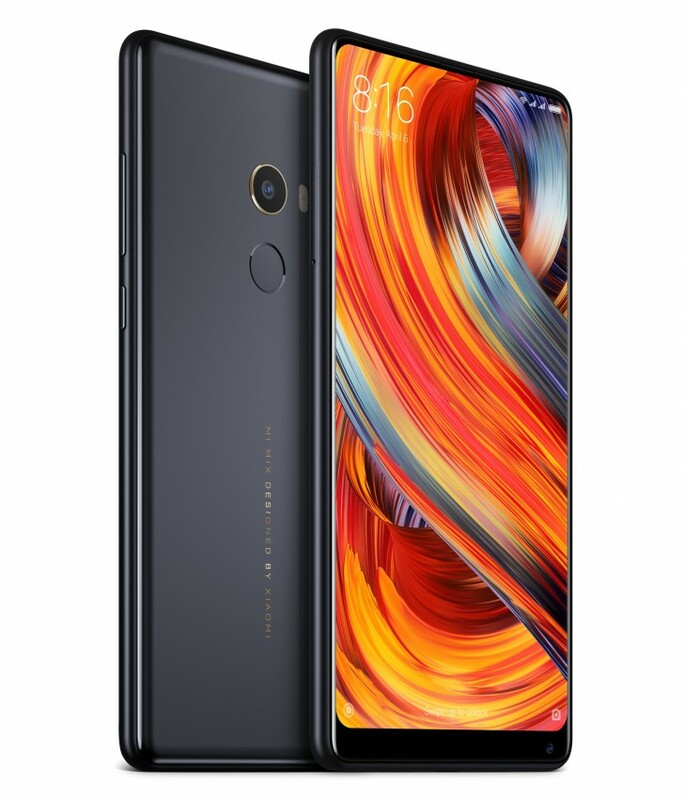 The Mi Mix 2 does not have the piezoelectric speaker below the display and has a traditional earpiece in a thin slit above but it still has the ultrasonic proximity sensor embedded within the display. As before, the front facing speaker is placed on the thin chin below the display, the only real bezel on the phone. Like the original, the back of the phone is made out of ceramic. However, this time, the sides are made out of aluminum, which smoothly flows into the curves of the ceramic back. This likely helps bring down the cost of the device. The Indian model does have the 18k gold plated rim around the camera. As for specs, the Mi Mix 2 runs on a Qualcomm Snapdragon 835, with 6GB of LPDDR4X dual channel memory and 128GB internal storage. It has a 12 megapixel Sony IMX386 camera on the back and a 5 megapixel camera on the front. It's powered by a 3400mAh battery with fast charging support and runs on MIUI 8 based on Android Nougat out of the box. The Mi Mix 2 will be available on October 17 in a special preview sale exclusively on Mi.com and Flipkart. Eventually, the phone will be available in Mi Home retail stores and other retail partners across the country in the first week of November.